Want to review a romance novel free? [For a limited time only] I am providing a free PDF copy (optimized for onscreen viewing) of my romance novel, Amnesia. The catch? I am asking everyone who downloads the book to please provide an honest review on Amazon and or GoodReads in exchange. Amnesia received a 5 star review from Readers Favourite with the reviewer stating “Ironically, Amnesia is unforgettable”. I hope you feel the same and I look forward to reading your reviews. 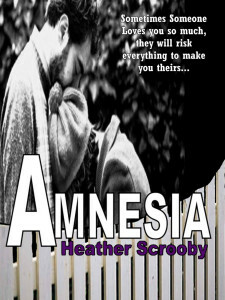 Feel free to share this page with your friends and family who would appreciate reading and reviewing Amnesia. Do not forget to share this page by clicking the sharing links. I am not going to provide this offer forever, so do not hesitate to get your copy now. How will I survive the next three nights! Join my launch team and get free eBook copies of all my future books!